Description: The Grarrl looked at his partner and fluttered his eyes. "'To the authorities if necessary.' Well, if our little telltale don't take the cake. He's a fancy talker, ain't he?" Description: "Cap'n, there's a storm brewin' t'the north!" Description: For years, Virtupets had been sending ships and probes in to chart the area. None had ever returned. Description: "This is awesome!" Xilau yelled. The ghost Gelert had his front paws up on the railing; his ears streamed behind him in the breeze. Description: A guide on how to get your foster home ready for the holiday season without breaking the bank. Description: Meadowbuck felt annoyed. That was not the first emotion he'd expected after being thrown to a watery grave. But honestly, he was annoyed. Description: The botany teacher, a yellow Ogrin, glanced up casually as Meadowbuck and Horax tip-pawed into the forest clearing that made up his unique classroom. He winked at them and continued his lecture without pause. Description: Meadowbuck slid down to the floor, shivering. "They were here," he said. "And they've got Christopher." Description: "Wait! There's someone else in here!" Meadowbuck whispered. Horax and Syainia froze. Meadowbuck tip-pawed up to one of the crates in the cargo hold and peeked around it. Description: "Sy and Horax are still on that ship!" he exclaimed. "We have to help them!" Description: No other species comes close to having so many abandoned members. Description: Water swished gently against the hull of their little canoe. In daylight, the canoe glinted a deep red, but in the dark it seemed more like dried blood. Greebles peeped and Flightning Bugs buzzed out of sight on the riverbanks. The scene seemed peaceful enough, but not all the occupants of the canoe were so sure. Description: Your pet has just emerged from the Rainbow Pool, covered in purplish-black wisps and swirls. You finally bought that Wraith Paint Brush and you stand back to admire your new Wraith Neopet. But then you realize something. There are no Wraith petpets. Not even one! Description: Ten years ago today, during a sleepover, a friend shared with my siblings and I a cool site he knew about where you could own virtual pets and play games. He typed Neopets.com into the browser of the old family desktop PC. I made a username and created my very first Neopet. 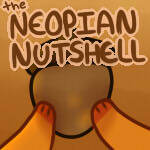 Today, well into adulthood, I am still a proud Neopian. Description: Even royals have responsibilities. Description: "You know, when I got adopted, I kinda thought I would have my own room." Description: The palace of New Maraqua shone with twinkling lights, powered by cheery holiday magic. Maraquan citizens swam to and fro in the marketplace just outside, gathering their last-minute purchases.